Sunday: We got to sleep a little late, finally, acutally getting about 6-7 hours of sleep. Me, Amber, Lindsay, and our friend Francis that lives in NYC (me and Lindsay went to college with him), went to a little brunch spot near Central Park called Dorrian’s. We had bottomless mimosas and a breakfast that made your stomach smile; from biscuits and gravy to omelets and pancakes. We then headed to Central Park (on the way passed the stairs at the Met where the popular girls sit on Gossip Girl) and explored as much as our little feet could walk. 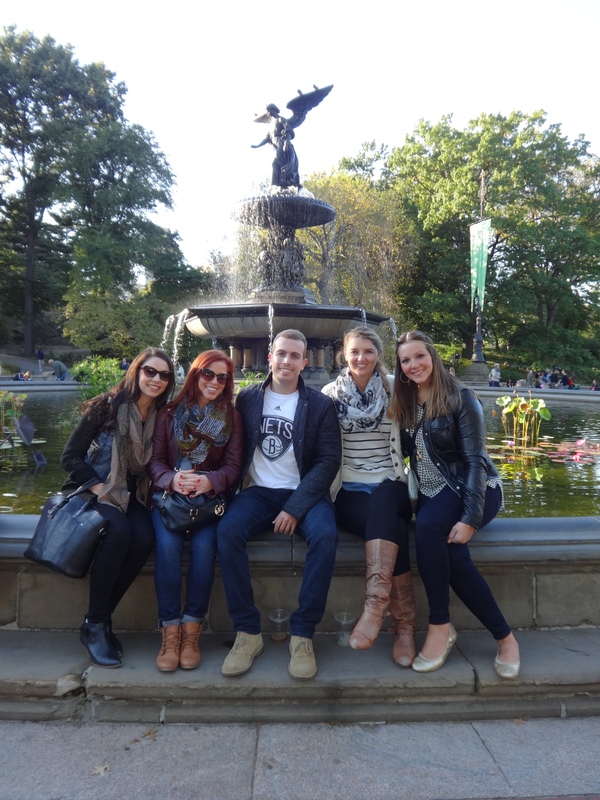 Jamie met up with us when we made it to Central Park! We saw the pond from Stuart Little, saw some street dancers, saw The Huddlestone Arch, and the Bathezda Fountain. There was sooooo much more to see, but just not enough time. 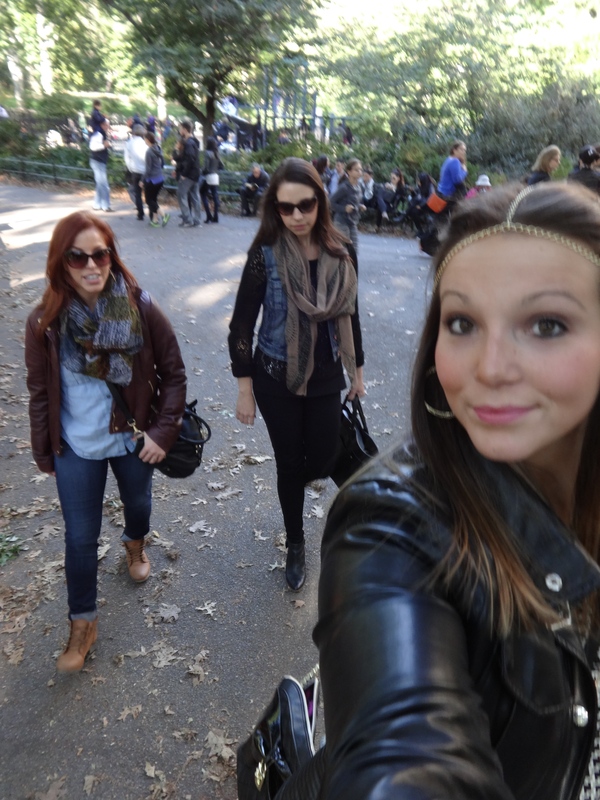 We left Central Park and headed down the block to Turtle Bay for some happy hour drinks. Lindsay and Jamie left us there, so me, Amber, and Francis headed to Le Reve for hookah, sangria, and appetizers. Such a cool atmosphere and very low key, plus the hookah was amazing! We ended the night pretty early, but our bodies definitely needed some rest. Monday: A morning full of sadness involved me and Amber packing up our stuff to head back to Charleston. While Amber took forever to get ready, I picked us up some latte’s at Pennylane Coffee (best vanilla latte ever)! Our first stop was food! 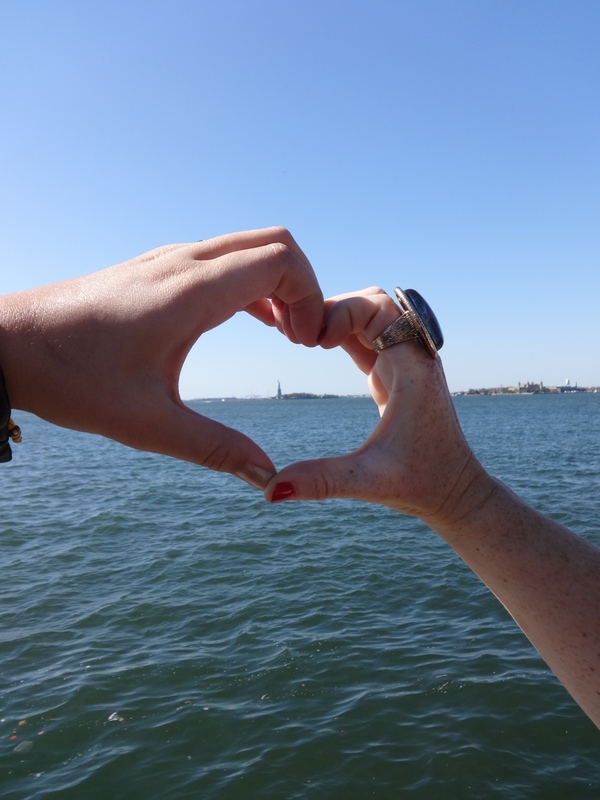 We headed into SoHo and stopped at Battery Park where we got some great pictures of the Statue of Liberty and some really good street food (philly cheese steak, and candied nuts). We then took a taxi to shop on Prince St. at UNIQLO, TopShop, and some various local stores! 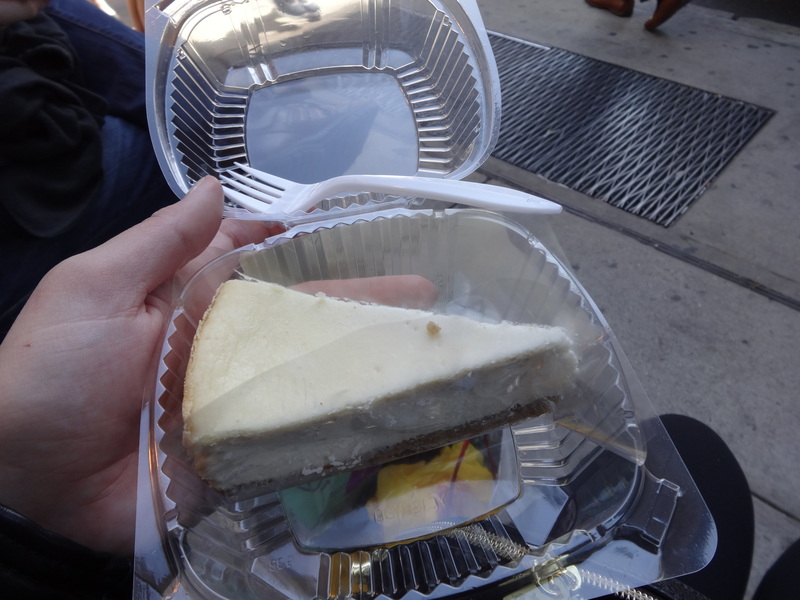 Realizing we had yet to have cheesecake, we stopped in at SoHo Cafe and shared a slice of some tasty cheesecake. On the way back to our hotel to head to the airport, we stopped in at The Mondrian Hotel trying to get a drink at their rooftop, but it was closed for the fall/winter 😦 That will definitely be a place to get a drink next time I’m in NYC. We made it back to the hotel, repacked our stuff into an extra suitcase, and went to the airport. We landed in Charleston about 10:15 pm ending our vacation very tired and very sore. It is now days later and my feet still hurt, I still have bags under my eyes, but I would not take back a minute. Me and Amber got along so well, I got to see one of my good friends, and I experienced local and touristy things in NYC.